Despite Adorno's famous dictum, the memory of the Shoah features prominently in the cultural legacy of the 20th century and beyond. It has led to a proliferation of works of representation and re-memorialization which have brought in their wake concerns about a 'holocaust industry' and banalization. 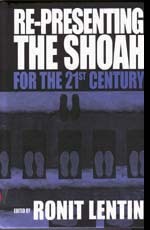 This volume sheds fresh light on some of the issues, such as the question of silence and denial, of the formation of contemporary identities — German, East European, Jewish or Israeli, the consequences of the legacy of the Shoah for survivors and for the 'second generation,' and the political, ideological, and professional implications of Shoah historiography. One of the conclusions to be drawn from this volume is that the 'Auschwitz code,' invoked in relation to all 'unspeakable' catastrophes, has impoverished our vocabulary; it does not help us remember the Shoah and its victims, but rather erases that memory. Ronit Lentin was born in Haifa prior to the establishment of the State of Israel and has lived in Ireland since 1969. She is a well known writer of fiction and non-fiction books and is course co-ordinator of the MPhil in Ethnic Studies at the Department of Sociology, Trinity College Dublin. She has published extensively on the gendered link between Israel and the Shoah, feminist research methodologies, Israeli and Palestinian women’s peace activism, gender and racism in Ireland.